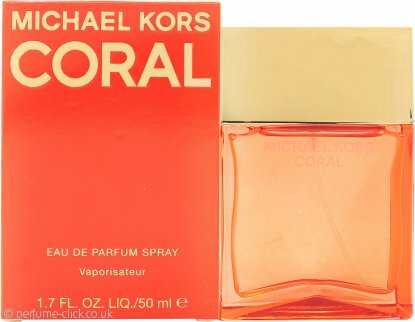 Coral by Michael Kors is a floral and fruity women's fragrance that was launched in 2015. The fragrance opens with a burst of fruit; pink grapefruit, lemon, mandarin, pink pepper and black currant. A heart of jasmine tea, orange blossom and raspberries rests on a warm base of sandalwood, cedar, musk and ambrox.